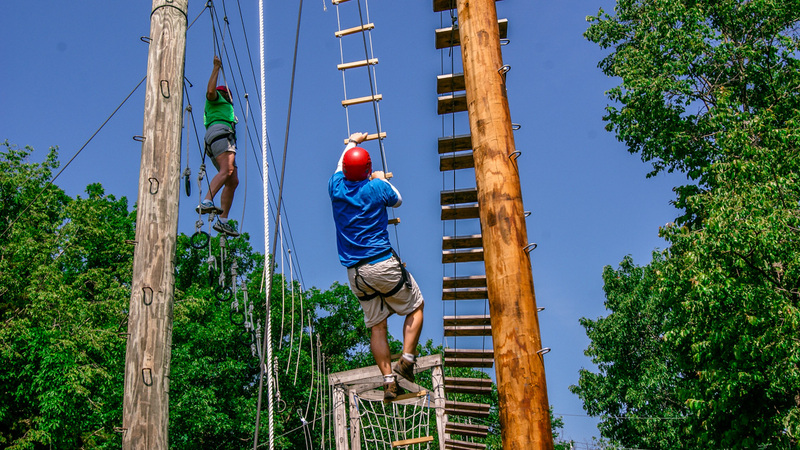 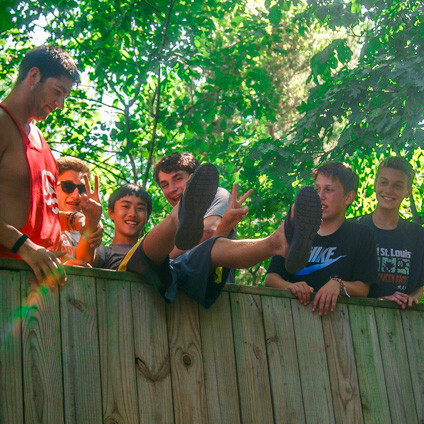 Adventure awaits all campers at Camp Sabra! 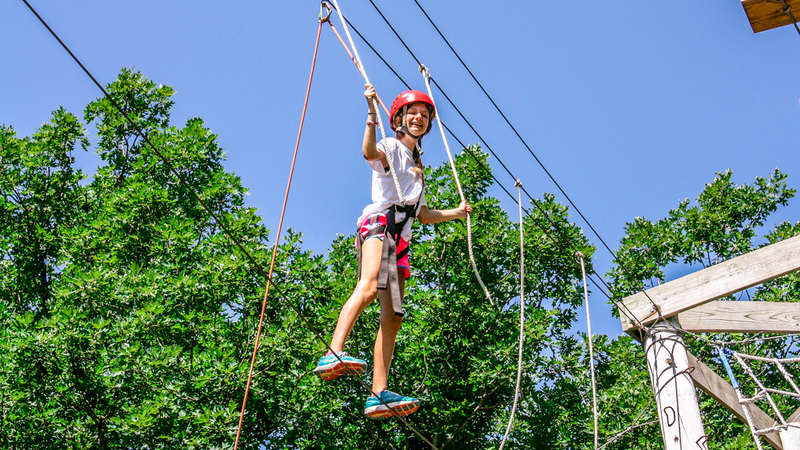 Our 205 wooded acres remain mostly undeveloped, which encourages our campers to get back to nature during their time with us. 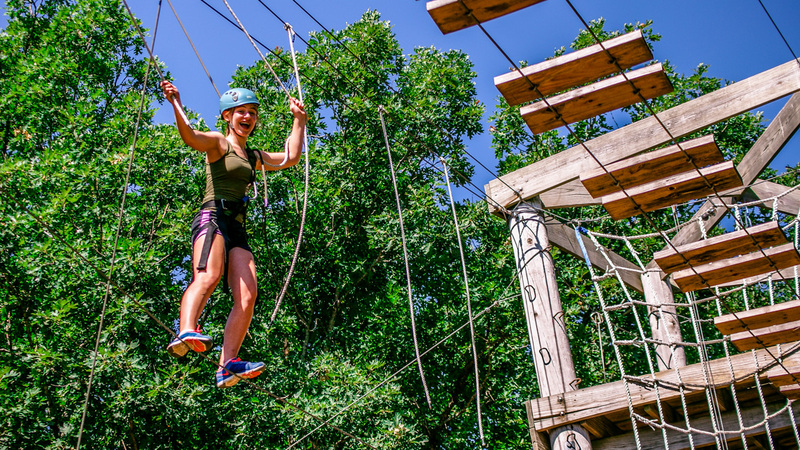 Our outdoor skills courses are more than just physical. 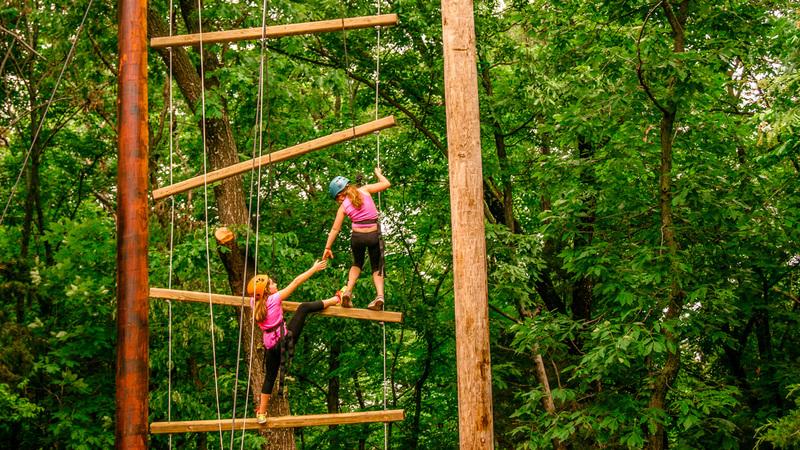 Our low-ropes course promotes team building and bonding, which helps our campers create friendships that will support each other for a lifetime. 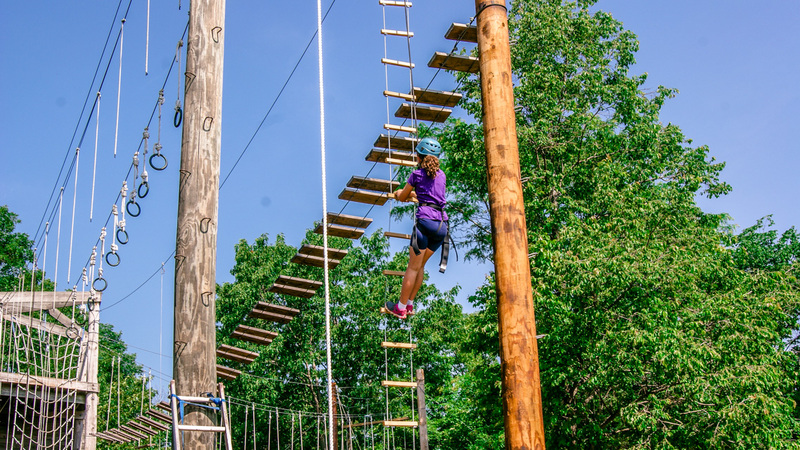 Our high-ropes course and rock wall challenge campers on a personal level. 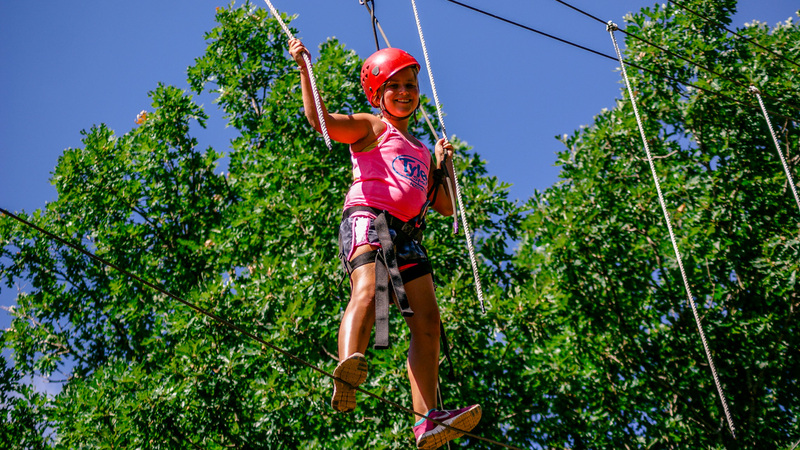 Campers are not required to do any activity that they don’t want to, but we do encourage our campers to try new experiences. 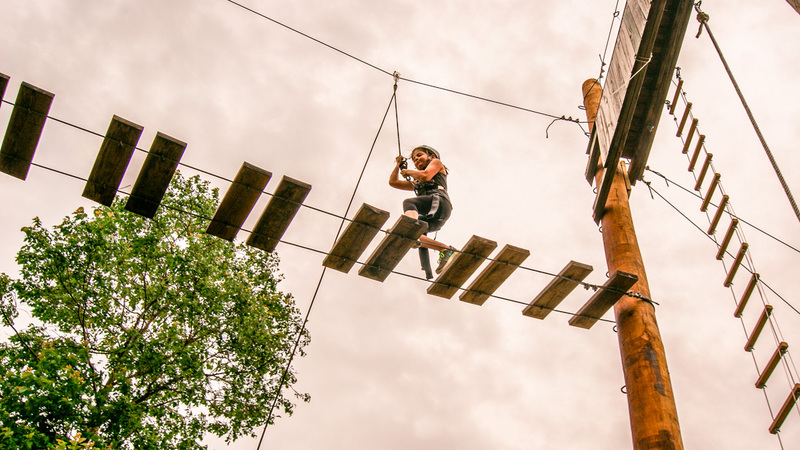 We think they will be pleasantly surprised by what they can do and what they find out about themselves in the process. 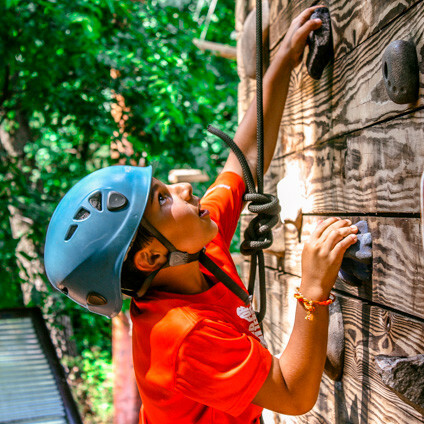 Campers will also gain skills useful for camping and for the excursions they will be embarking upon during their time at Camp Sabra. 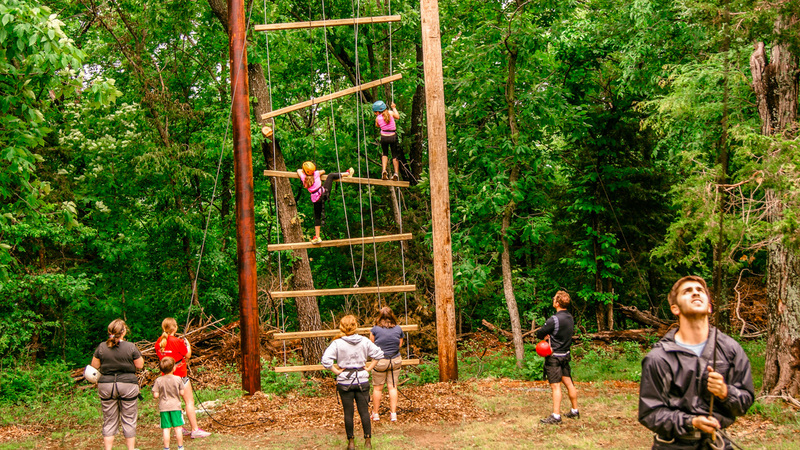 Our outdoor education areas helps campers learn how to set up a safe camp site, build a fire, navigate the outdoors and more. 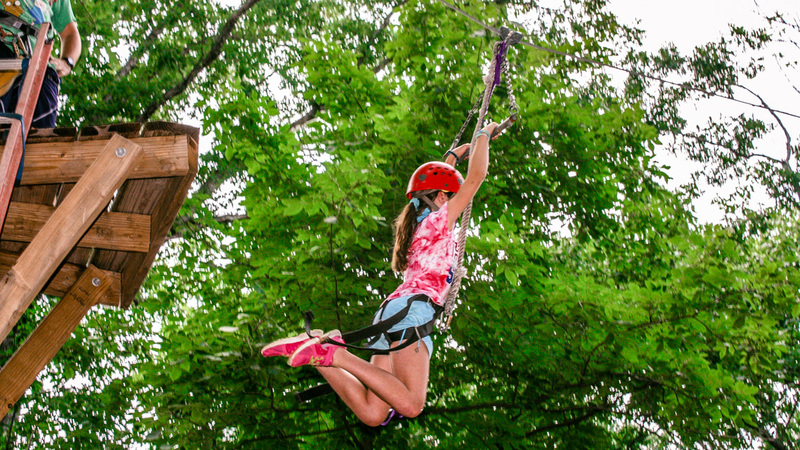 Our goal is that all of our campers will be comfortable in the outdoors by the time they leave Camp.